Companies may take different paths to determine the profitability of cloud initiatives. So far, on this website, much is published about the benefits of using cloud (and also the risks). Most current market reseahes tell us that cloud services can make not only IT faster, but the entire organization becomes faster, more flexible and more agile. 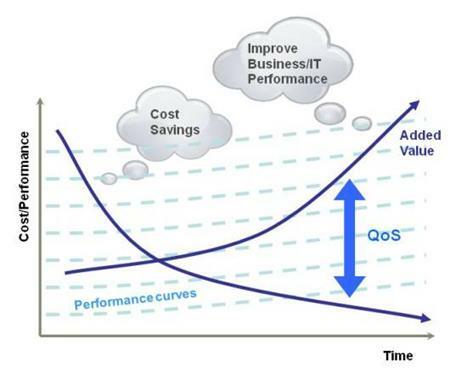 Here is an Article on Calculating ROI of Cloud Projects. There are many whitepapers, blogs published by various vendors on this topic. First we need to identify opportunities for the sake of measurable, quantifiable process improvement. Secondly, we need to devise plausible formulas for calculating a cost savings for each opportunity. Third, we need to reduce those calculations to a number so that it becomes easy to judge looking at the ROI. There are good number of companies which make detailed profitability calculations for their cloud projects. At present, 32 percent of companies that already use cloud services, refrain from a RoI consideration. Sadly, only 20 percent of the IT executives effectively select the services for increased cost effectiveness. We need to focus of productivity with the motto of more business with less IT. The central idea of utility-based services enabled through on-demand provisioning to meet actual usage is the core of making less IT. Secondly, we need to give importance to resource utilization to handle peak loads and under-utilized times. In many enterprises, dedicated servers can be massively under-utilized. Also, the executives need to have good idea around latest technologies, like Function-as-a-Service (FaaS) is a relatively newer technology which may decrease cost in certain cases. In general, companies commonly use quantitative, qualitative and hybrid methods to determine ROI. A quantitative model is based on concrete figures. On the other hand, a qualitative model would rank certain positive effects such as lower support costs according to their importance, but would do without concrete data. Almost half of them rely on a hybrid model that combines quantitative and qualitative aspects. RoI considerations in advance often do not match the actual effects as there is a large number of hard and soft influencing factors. In some cases, even a higher profitability may be achieved. After all, 39 percent report that their plans were successful. The most common cause of fluctuation or deviation from calculated includes higher or lower than expected operating costs. It seems to us that many companies seem to underestimate costs in the transition phase. Positive or negative surprises commonly not expected. To internalize, adapt anything around cloud, well trained, knowledge executives play a pivotal role. Calculating ROI requires some up-front work to understand business requirements, organizational maturity to quantify benefits and costs associated with the cloud model. This Article Has Been Shared 4568 Times! Cite this article as: Abhishek Ghosh, "Calculating ROI of Cloud Project : Cloud Computing for Business," in The Customize Windows, March 13, 2018, April 23, 2019, https://thecustomizewindows.com/2018/03/calculating-roi-cloud-project-cloud-computing-business/.